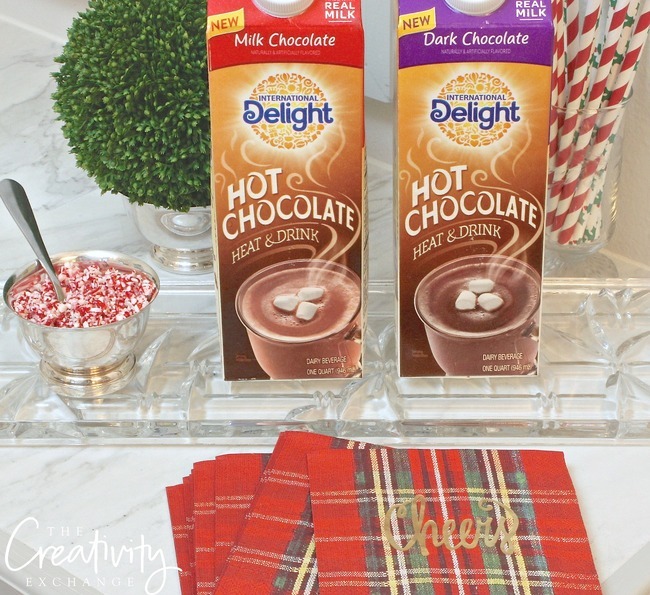 I’m so excited about today’s post because I am sharing one of my favorite holiday cocktails- a yummy spiked Peppermint Patty hot chocolate cocktail recipe. This recipe is all the sweet things that I love at Christmas all rolled into hot chocolate festive goodness (chocolate, candy canes, whip cream). 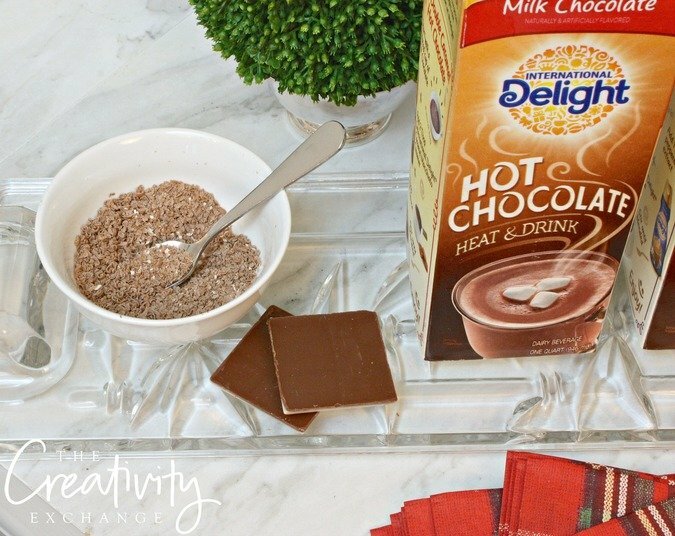 International Delight has come out this year with a hot chocolate in dark and milk chocolate that’s pre-made (heat and drink). So smart! 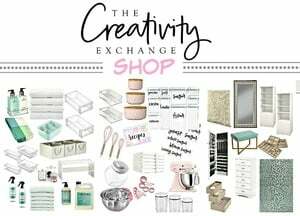 This is the same company that makes all of those flavored creamers that are so good, so I wasn’t surprised that their hot chocolates are extra creamy and rich. It’s so convenient for holiday entertaining because it’s easier to use than having to make a batch from scratch but it’s just as good. 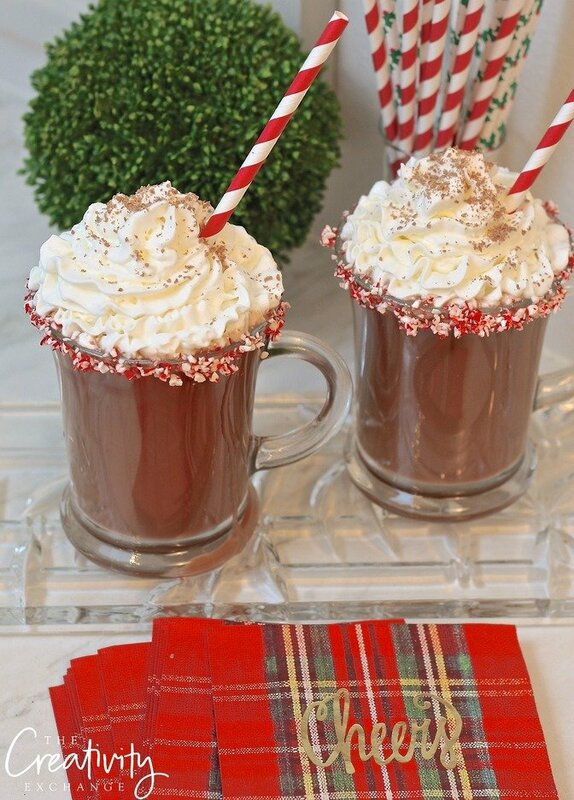 Their are all kinds of hot chocolate cocktail recipes that I love but a good Peppermint Patty with whip cream and grated mint chocolate just makes me think of Christmas. 16 oz. International Delight Hot Chocolate Dark or Milk Chocolate (found in the dairy case) I used the dark chocolate for my batch. Heat the hot chocolate mixed with the grated mint chocolate in either in the microwave or on the stove top. In the microwave, heat for 90 seconds. The hot chocolate doesn’t need to boil, it just needs to be hot enough to melt the grated chocolate. Remove from microwave/stove and add the Peppermint Schnapps and Creme de Menthe and stir well. Pour into coffee mugs and top with whip cream and extra shaved chocolate. 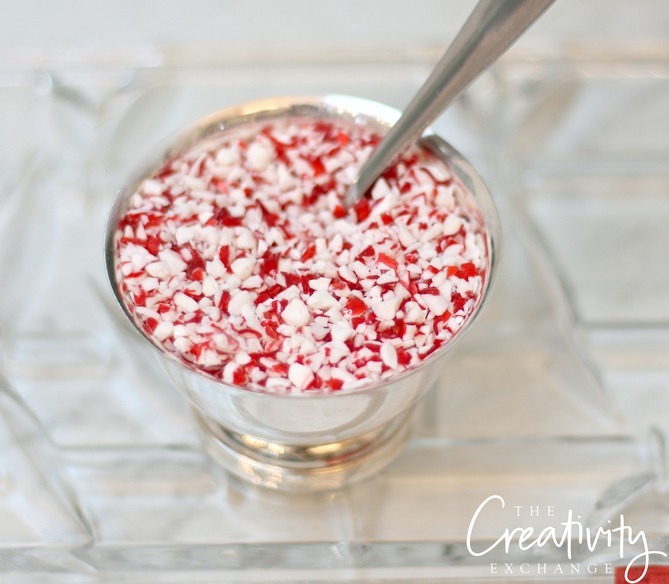 ** Optional** You can add candy bits to the rim of mugs before pouring by dipping rim in water on a plate and then dip the mugs into a plate of spread out candy candy bits. 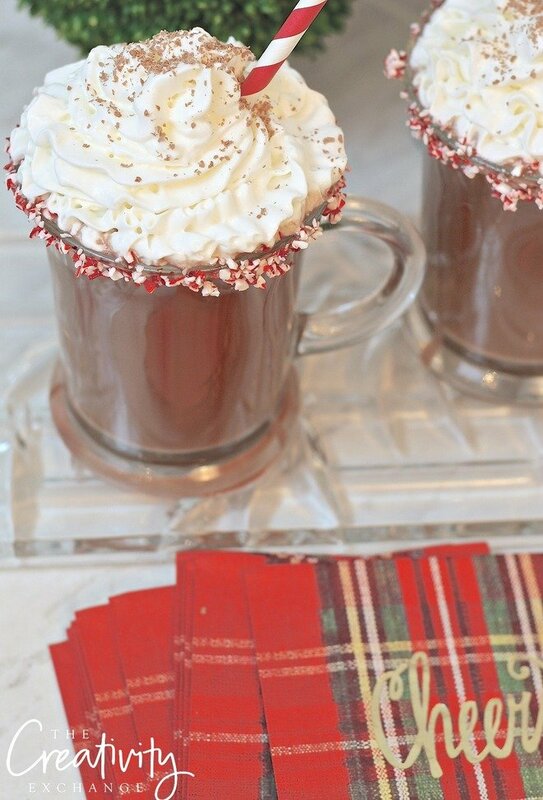 I’m looking forward to doing a little Christmas entertaining in the next couple of weeks and I can’t wait to try out some of my other favorite hot chocolate cocktails. I also love a good salted caramel hot chocolate with Frangelico Liqueur. What flavors bring the spirit into the Holidays for you? 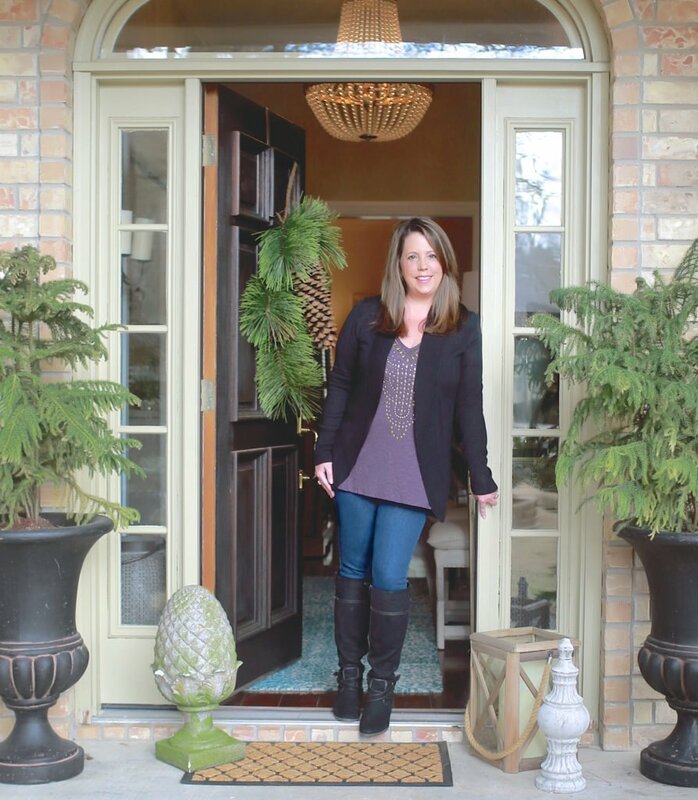 Visit International Delight to learn how you can win a $5000 Holiday Brunch just by sharing your story! omg this looks ridiculously yummy!!!! !